One day a frog decided to cross a road. It has always wondered what laid on the other side, with all the tall weird looking gray trees. Those trees were unlike any of the trees that the frog has seen before. They grew in such an orderly manner, punctured by numerous square holes that reflected the sun in the morning, while emitting light at night. And they had such weird colours too. While most of the trees the frog knew were brown and green, the trees on the other side had such weird colours to them that the frog has no word for. Evil colours, the frog grandpa would used to say, where evil spirits lived within them. Evil gigantic spirits, frog grandpa would add, spirits which the frog see almost every day. They always crossed the road as they pleased, coming to the place where the frog lived. They have such weird colours on their skin too, patterns that the frog cannot understand. They would come to the frog's home often to run, for what reason the frog can never guess. Perhaps a giant bird was chasing them, the frog reasoned. If a giant bird was chasing the frog, it would leap as fast as it could too. Sometimes the evil giant spirits would bring their four legged furry monsters with them too, monsters with such a loud roar to them. The frog never liked the sound. But they always seemed so energetic, so eager to explore the world, sniffing here and there. The frog envied their sense of curiousity and adventure, and decided that he would one day cross the terrifying span that separated the two worlds. The place where metal roaring monsters speed through day and night, driven by those evil spirits. So on that day, staring intently on the other side, the frog decided to cross the road. The frog friends think that it was crazy, that it would not make it far before the metal monsters take him, ending his adventure then and there. And what happens if it does make it across anyway? Only evil spirits resided there. There was no frog heaven or anything awaiting the adventurous frog. But the frog didn't care. And so it hopped. One jump at a time, as the metal monsters roared past him, oblivious to the fact that there was a tiny frog trying to cross the road. It was the time of its life for the frog, perhaps the most excited that he would ever be, as it tries to avoid the incoming horde of the loud metal monsters. The frog tried to shout for them to slow down, but its voice was drowned out by their louder roars, and the fumes produced by them choked it. The frog coughed, but continued to persevere on. 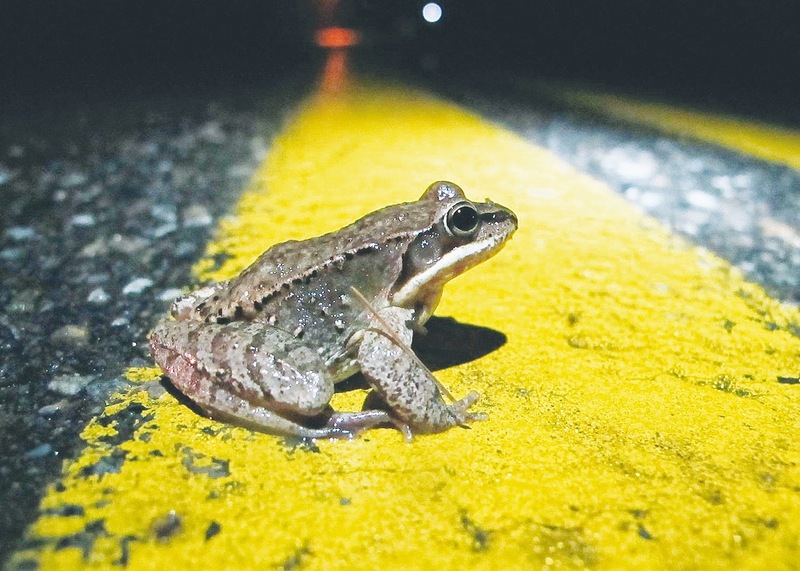 As the frog neared the middle of the road, resting on all four legs, it felt a rumble on the ground. A rumble that shook the entire road. The frog turned its eyes to look instinctively, as it saw one of the biggest metal monsters it ever saw screamed down on it. It was much taller than the ones it avoided, which much bigger legs as well. It rushed menacingly towards the frog. There's only two outcomes how this story would end. First, the frog's story is cut tragically short, while the second, the frog miraculously survived the ordeal, and continued its never before attempted journey. Each of us have a road to cross every now and then. Which scenario do you believe would happen to you, when you're stuck in the middle of the road, with something careening madly towards you?